This month, I have a few fellow bloggers to introduce to you as well as giveaways, sales and coupons for your pre-holiday vintage shopping. My dear friend, Joanna writes Dividing Vintage Moments. I recently had the pleasure of designing her new blog look, which was an absolute blast! To celebrate her pretty new look, Joanna is hosting a huge, fantastic vintage giveaway on Dividing Vintage Moments, including Bakelite, Lucite, vintage magazines, designer accessories...and she's adding something else to the package! This morning, she posted an amazing collection of vintage bloggers and their "vintage twins"! Joanna's personal style is always so immaculate and haute couture. Do pop over and say hello! Earlier this month, Emily and I collaborated to bring you the Etsy Shopper Survey and giveaway. 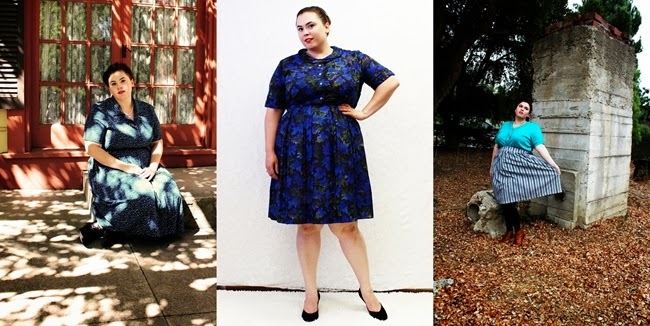 In addition to blogging her retro looks and amazing vintage ephemera collection (see Free Pattern Friday), Emily runs Livin' Vintage Shop as her full time job! Soon, Emily will provide etsy sellers with informational articles on how to succeed with selling vintage on her blog. Right now, Emily is gearing up for the holidays with a big 25% off sale in her shop (includes sale items) beginning Thanksgiving Day to December 2nd but if you want the early bird deals, you have to check her blog in the coming weeks! A new sponsor this month is the beautiful Laurel from The Curvy Elle. Laurel blogs her fashion inspiration as well as her own adorable personal style looks, diy projects and more. 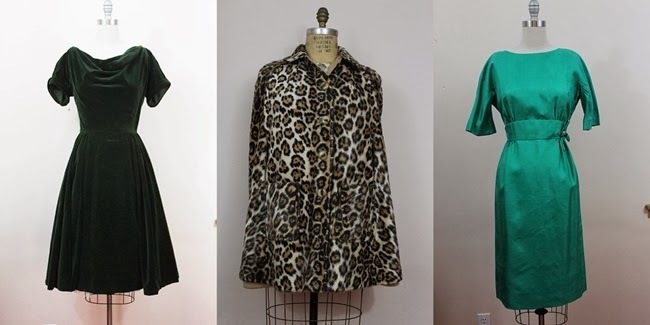 Check out The Curvy Elle Shop for one-of-a-kind vintage pieces in sizes 12-24+. Save 15% off at the Curvy Elle Shop for the month of November with code VAVOOM15 and check her blog on the 27th for her black Friday sale! What marvelous sponsors you have this month! I was delighted to see my good friend Joanna there, she is such a peach of an elegant, sweet, beautiful (inside and out) lady. I adore the revamping you did of her site. Really wonderful job there, ladies!